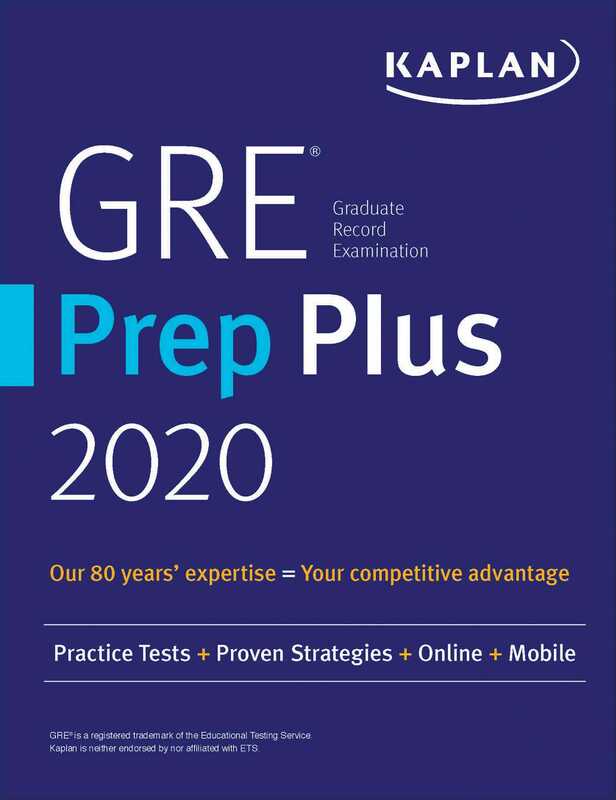 Kaplan's GRE Prep Plus 2020 guides you through your GRE prep step by step, with added online practice and video lessons to ensure you're ready for Test Day. Study Kaplan's proven strategies, boost your math skills, practice your pacing, and become an expert in the exam's computerized format with five online practice tests. GRE Prep Plus 2020 includes everything in our GRE Prep 2020, plus additional practice tests, 1,200+ additional practice questions, dozens of timed practice sets for every section of the test, a customizable online Qbank, and video lessons on stress-reduction techniques and study planning tactics that can help you ace the GRE. With GRE Prep Plus 2020 you can study on-the-go. Log in from anywhere to do practice sets and even practice tests that are optimized for your mobile device. Five full-length online tests help you practice in the same computer-based format you'll see on Test Day. One full-length practice test included in the book for easier reference and review. More than 1,700 questions with detailed explanations, including brand new questions for this edition. Customize your practice with a 500-question online Qbank that lets you select problems by topic and difficulty. Questions have been reviewed, revised and updated by Kaplan's all-star expert faculty.